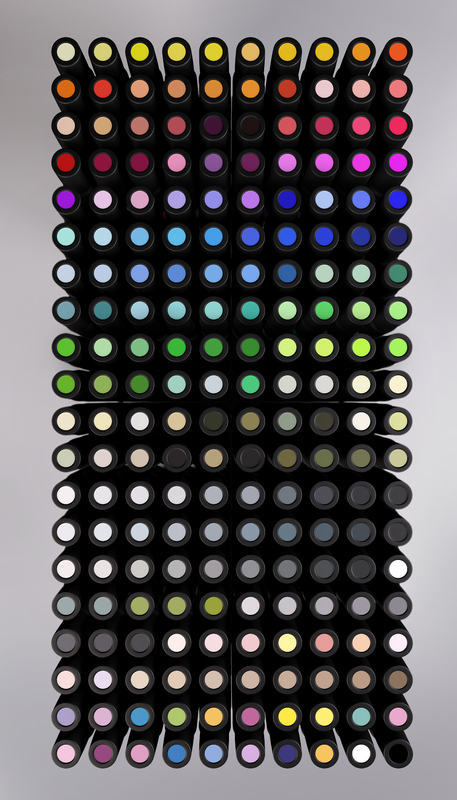 This is a 3D render of the Prismacolor’s set of 200 color double ended markers. I wanted to put together a set of colors with specific names, just to show the diversification between the colors and their visual representation, followed by their common name. It really is amassing to see how a color without a context I would definitely call just “blue” but its name might be Pale Jade (row 7, marker 7). There’s plenty more information about the topic’s subject, other colors and their names here.